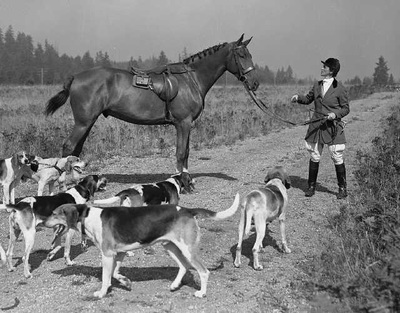 The Woodbrook Hunt Club (WHC) is an organization dedicated to riding to hounds -- a pursuit that goes back to well before George Washington hunted his own pack of hounds in colonial Virginia. 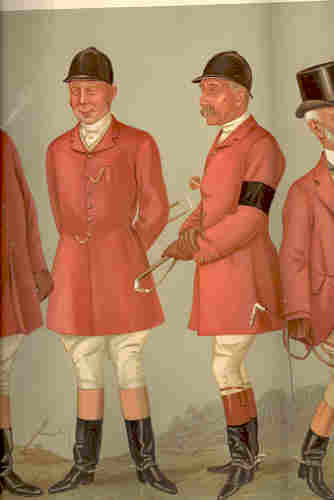 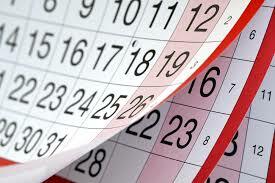 WHC is the oldest fox-hunting club west of the Mississippi. 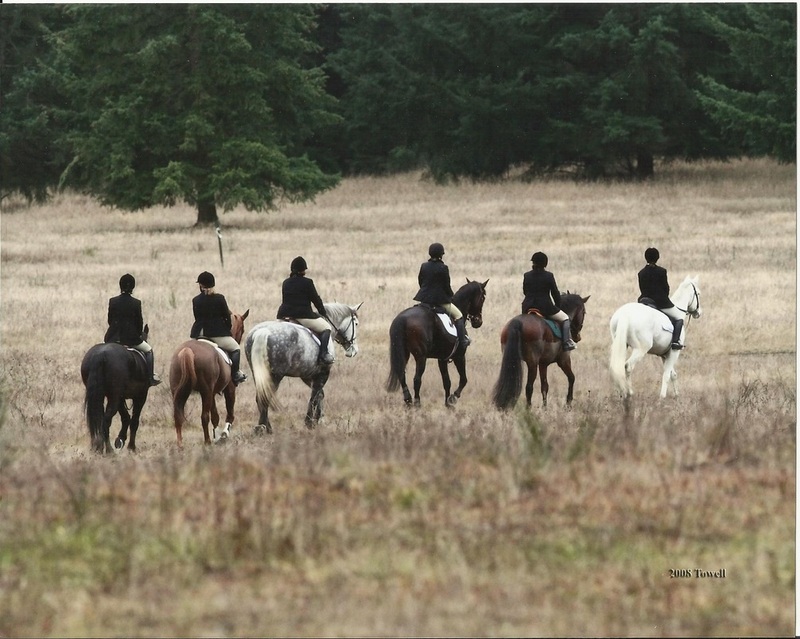 Today the club continues its rich tradition on the last remaining three percent of native prairie in the Puget Sound Corridor. 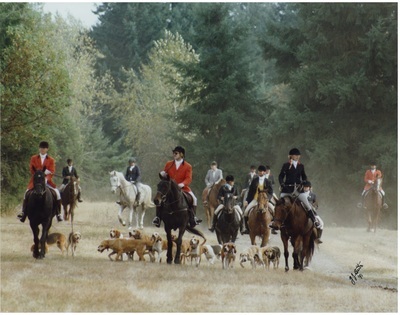 The sport is alive and well all over the world (although its existence is threatened in England by political forces). 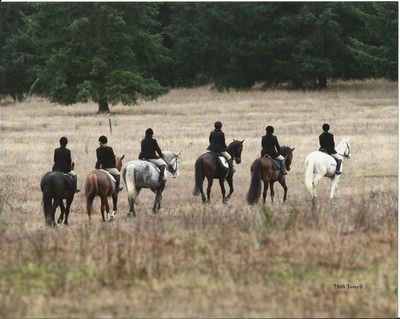 This is not an historical theatrical re-creation, but a living tradition full of excitement and avid sportsmanship. Fox-hunting is not a competition sport. 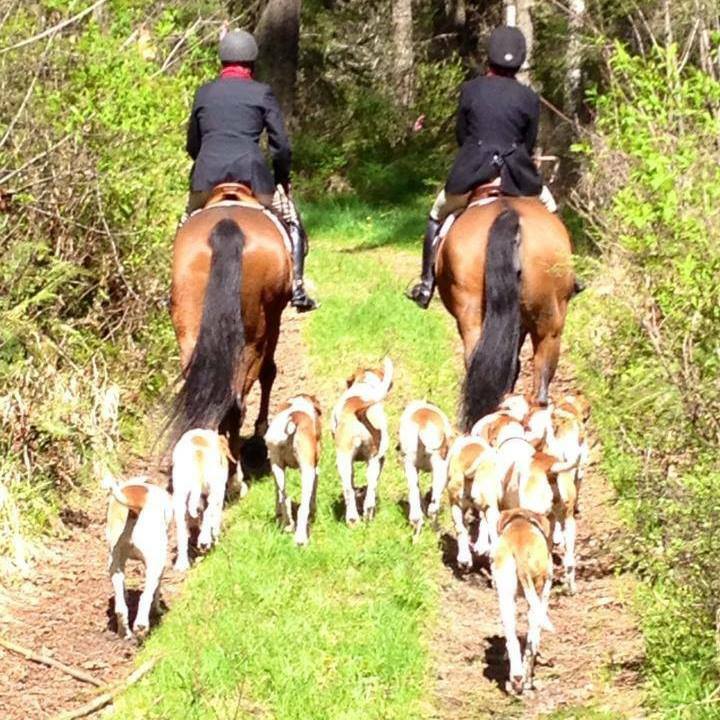 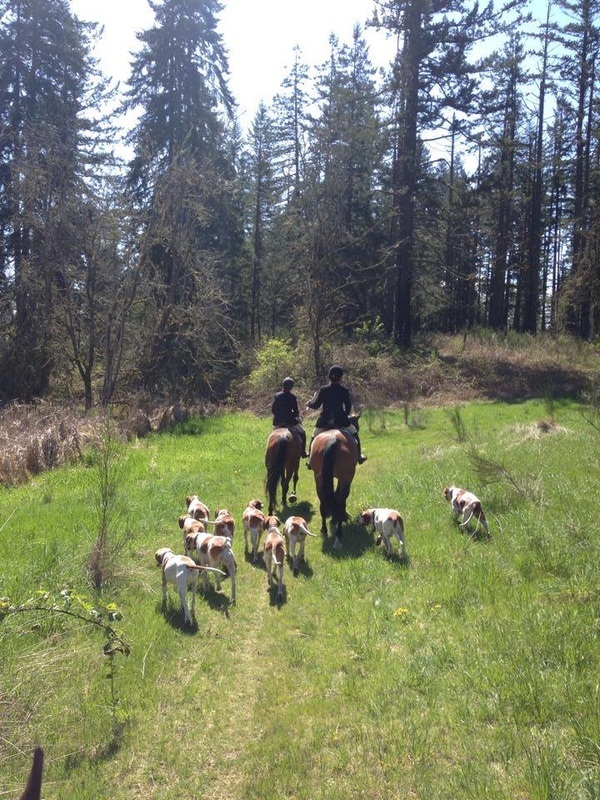 The idea is to enjoy riding your horse out in the wild while appreciating the work of the hounds seeking and chasing the scent of the game. 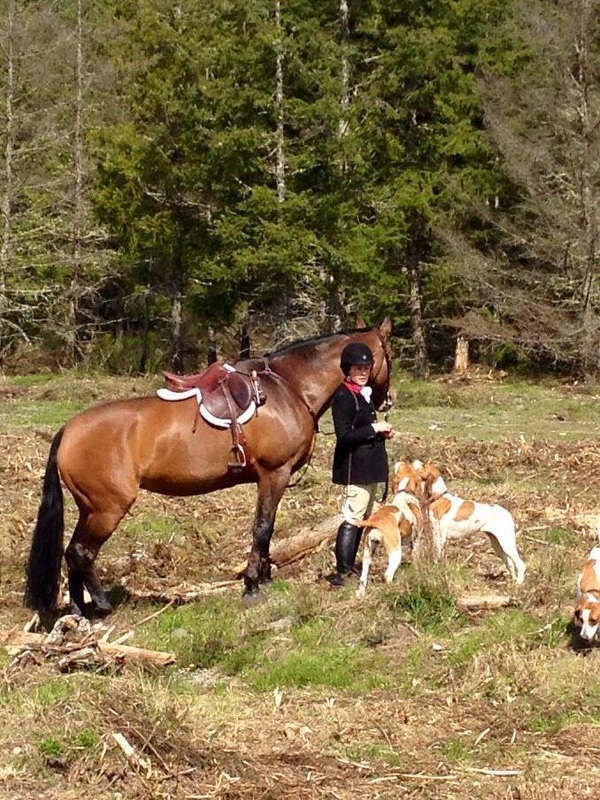 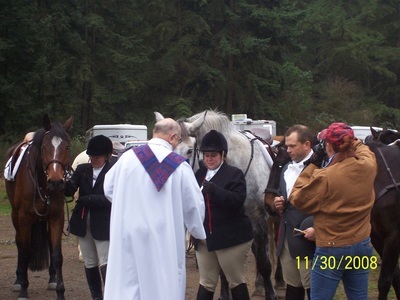 Woodbrook is one of 170 member hunts of the Masters of Foxhounds Association of America. The pedigrees of our foxhounds are maintained by the MFHA's Keeper of the Stud Book. 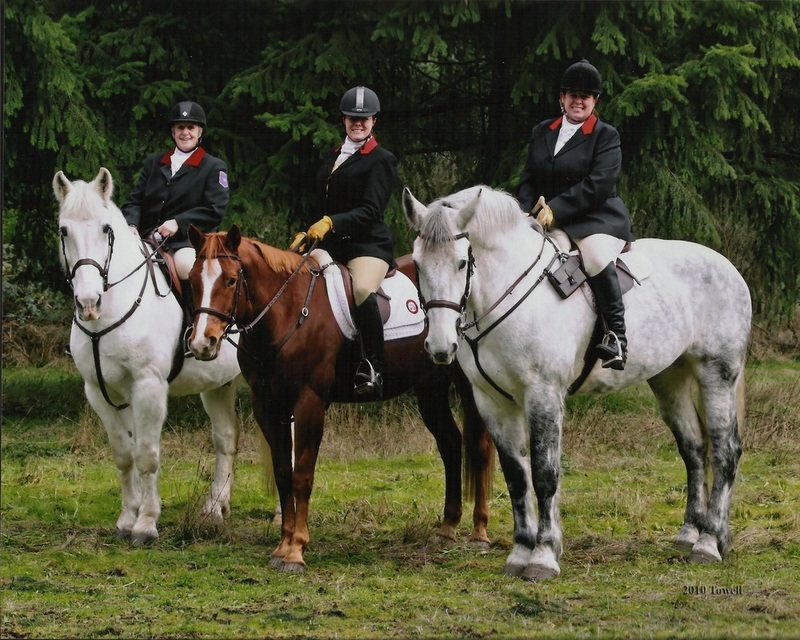 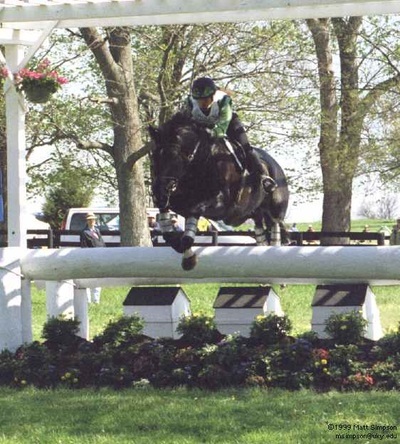 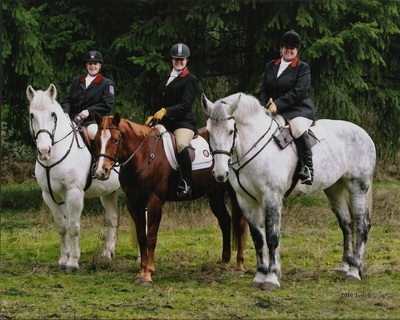 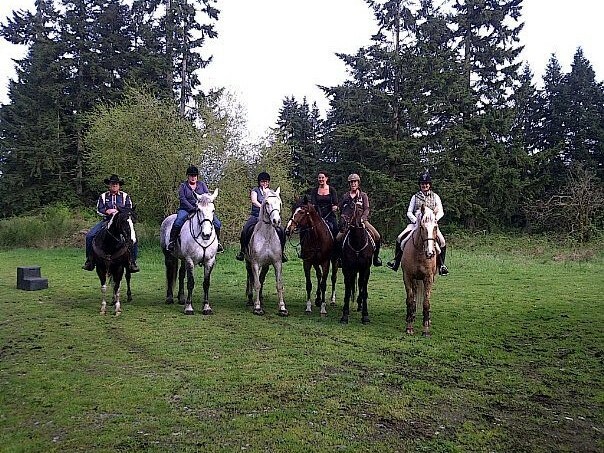 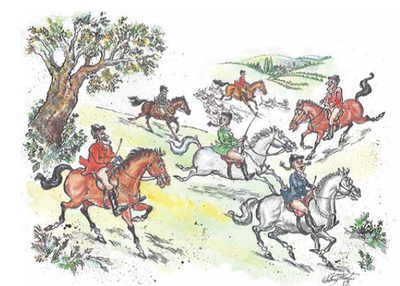 Click on the images below to learn more about the Woodbrook Hunt Club.